Both the XFX HD 5870 and XFX HD 5850 are powerful cards and both earned good marks here at OCC, but when paired in CrossFire the performance boost gained was enormous for some of the test programs. 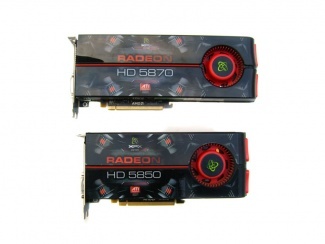 Both video cards operated happily at 1000 MHz core speed with software that could adjust the core voltage easily. The memory overclock was hindered by the 5850 which couldn’t go as far, but could at least match the 5870.